The Boy Genius Report blog has word that the executive management team has gotten a cold, hard dose of reality and has finally realized that they need to get new QNX-powered BlackBerry smartphones out the door as quickly as possible. The sobering fact that RIM's stock has taken a nose dive in recent weeks has served as what I can only describe as a wake up call. According to BGR, plans for an iPad sized 10-inch BlackBerry Playbook are being scrapped and the company will "focus as much effort as possible on building and releasing its first QNX-powered BlackBerry smartphone." The specs and timing for a new BlackBerry running the QNX operating system are, obviously, thin at best. "Specs of the purported next-generation BlackBerry smartphone include a single-core 1.2GHz processor — though it may be swapped for a dual-core if RIM can find a way to reduce the drain on the battery — along with a 4.3-inch high-resolution touchscreen display. Further details surrounding the device were not made available, nor was a codename, launch name or a time frame for the device’s release." 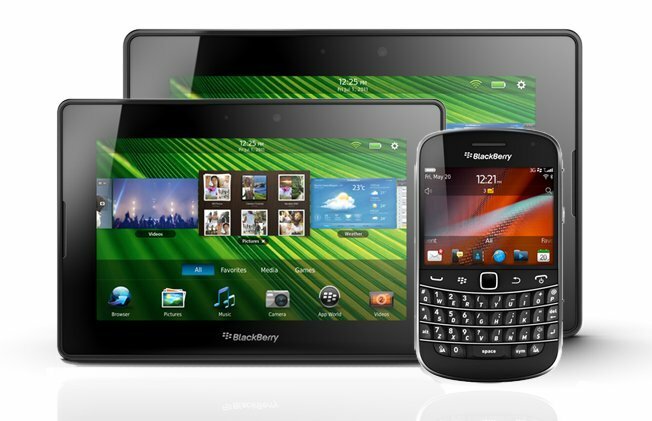 The previously planned 4G cellular version(s) of the BlackBerry Playbook is still planned for release in the October timeframe. As a strictly utilitarian device for email, text/instant messaging, and phone calls (who makes those anymore? ), the BlackBerry is a great phone. Messaging has always been at the core of what a BlackBerry is. (I own and have used a BlackBerry Curve and Storm2 and loved them both.) But today's "prosumers" want more features than that, and when compared to the iPhone and Android devices, all of the RIM devices fall flat on their faces. If RIM is serous about turning their company around, they need to get QNX-powered phones out the door as quickly as possible. Thanks for the heads-up. I'm still hoping I could come across a blackberry unlock code on this page. Or is this something that cannot be obtained for free?